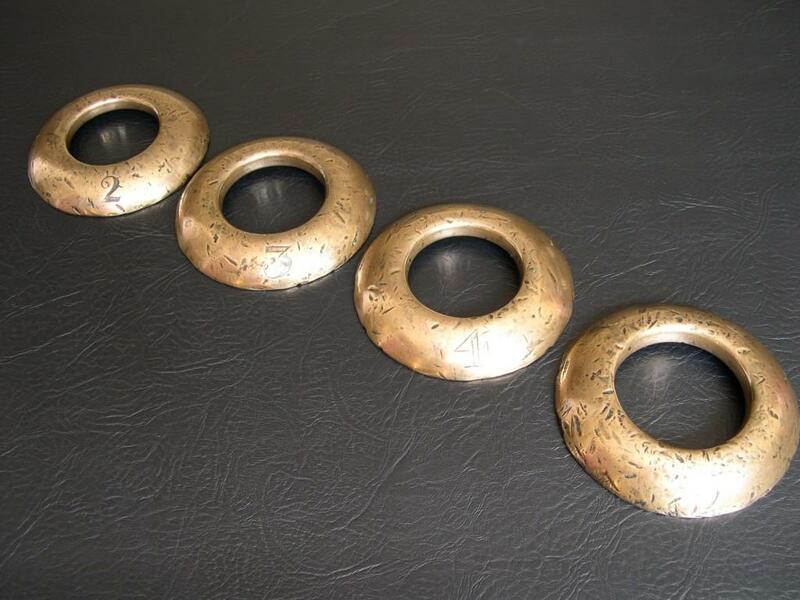 A lovely set of four early bronze quoits. Believed to be 18th century English but smaller than those typically found in the UK. Whilst quoits is not a game that I have played, a little research reveals that the game of quoits has been around for a very long time. If you are interested in the history, the different games and associated rules there are a number of very informative websites, both UK and international, full of information. 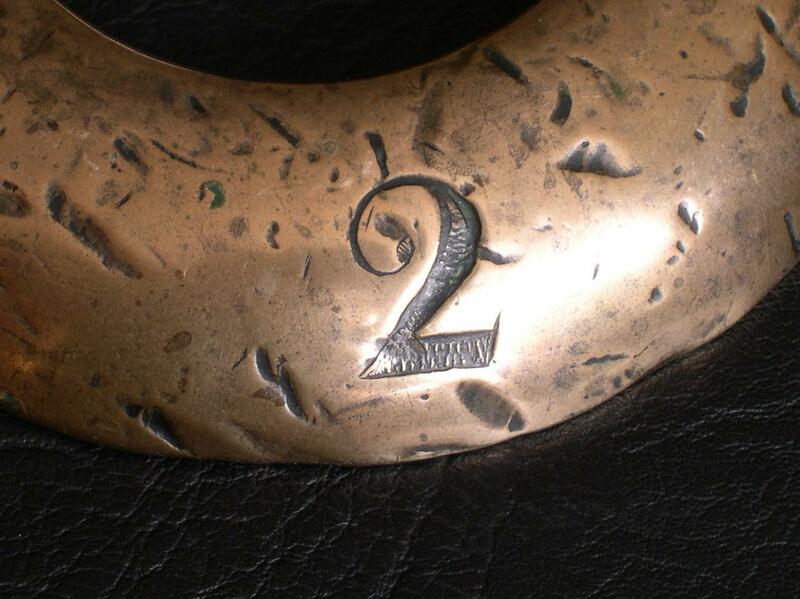 No.2 weighs 2lb, 5/8oz (924g), is 5.1/4 inches in diameter with a 2.5/8 inch centre hole. 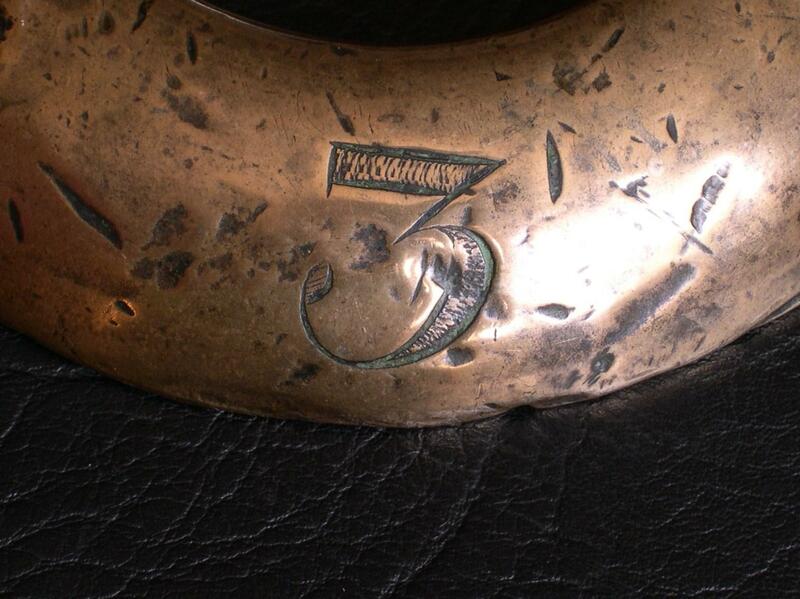 No.3 weighs 2lb, 4oz (1020g), is also 5.1/4 inches in diameter with a 2.5/8 inch centre hole. 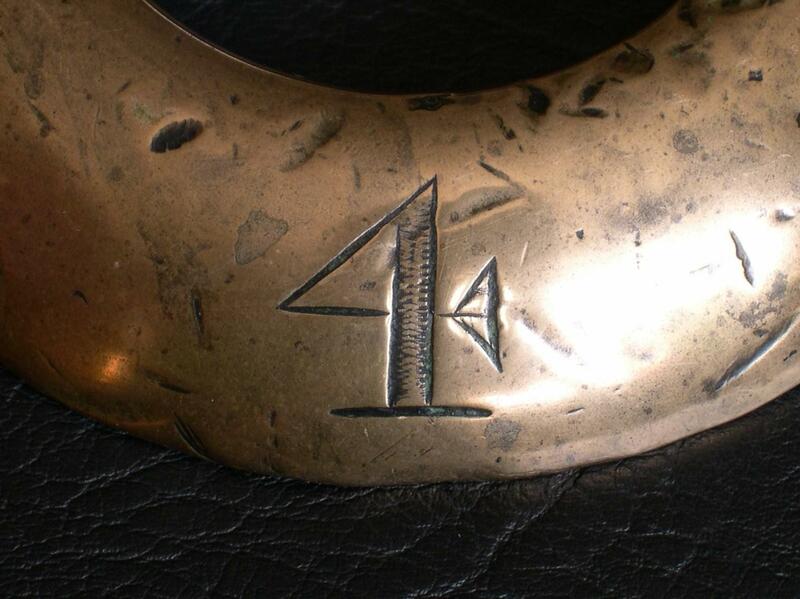 No.4 weighs 2lb, 4.1/2oz (1028g), and is also 5.1/4 inches in diameter with a 2.5/8 inch centre hole. 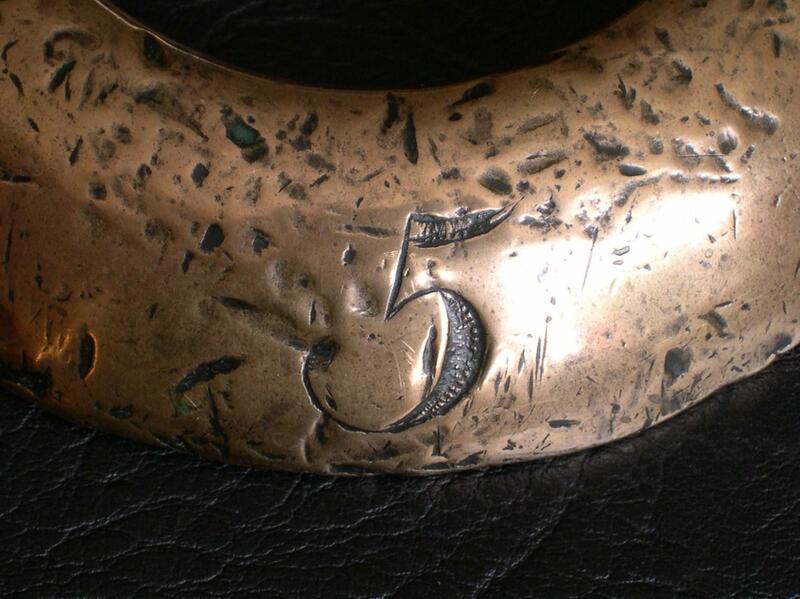 No.5 is a little heavier at 2lb, 7.3/4oz (1128g), is 2.7/8 inches in diameter with a 2.7/8 inch centre hole. The style of engraving convinces me that this is a set and I wonder why one quoit is larger and heavier than the other three. There are no other obvious marks apart from those gained during play. If you can shed any light on their age, possible maker etc. please feel free to let me know.